Peering over the fence at the top of the parking lot, the bluish green quarry offers a stunning view. Encircled by sheer cliffs up to 12 metres high, a large beach area with easy access to the water and a sandy area perfect for sunbathers, this swimming hole is ideal for a hot summer day. Unfortunately, due to insurance regulations, you cannot jump or dive from the cliffs. The beach is also not patrolled, so make sure you keep a close watch on children at all times. Head down the the quarry by following the road path and trail. This short walk will take you straight to the beach. 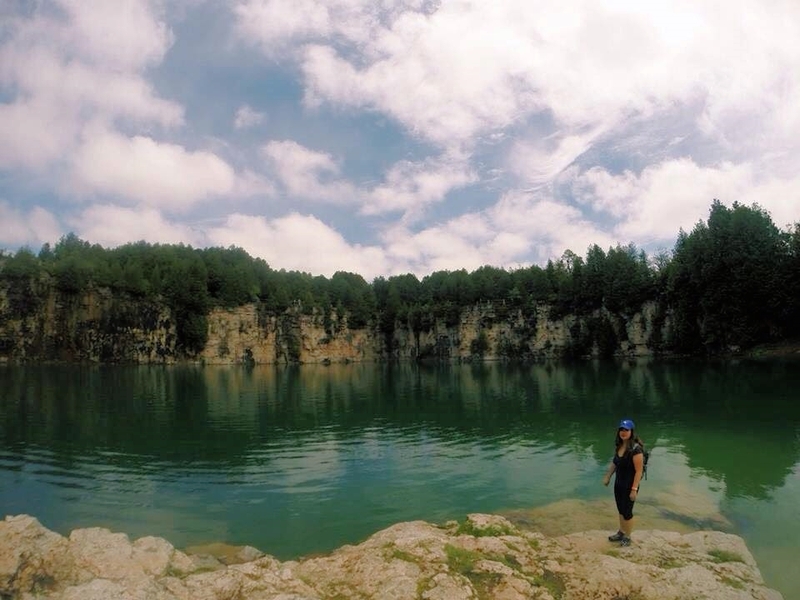 If you're feeling adventurous, feel free to hike and explore around the quarry. 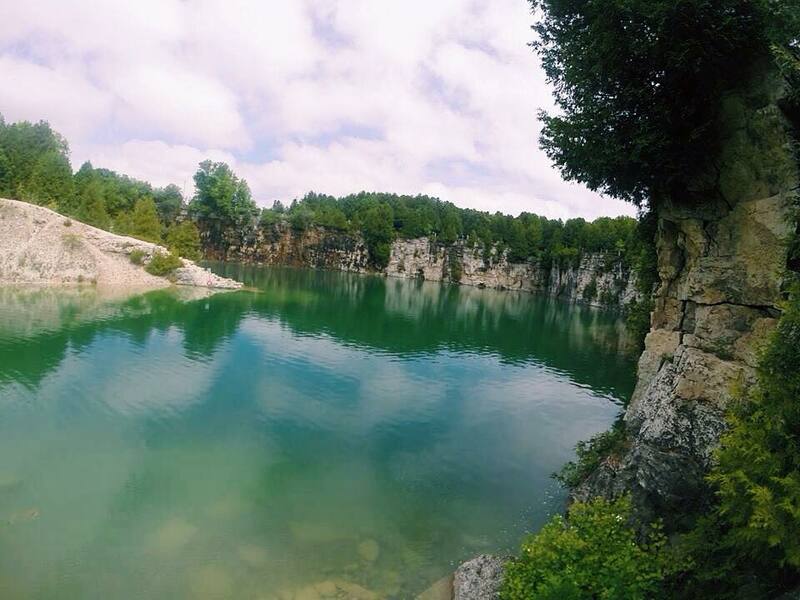 Bring a cooler, towel and swim suit for a day swimming at the quarry! 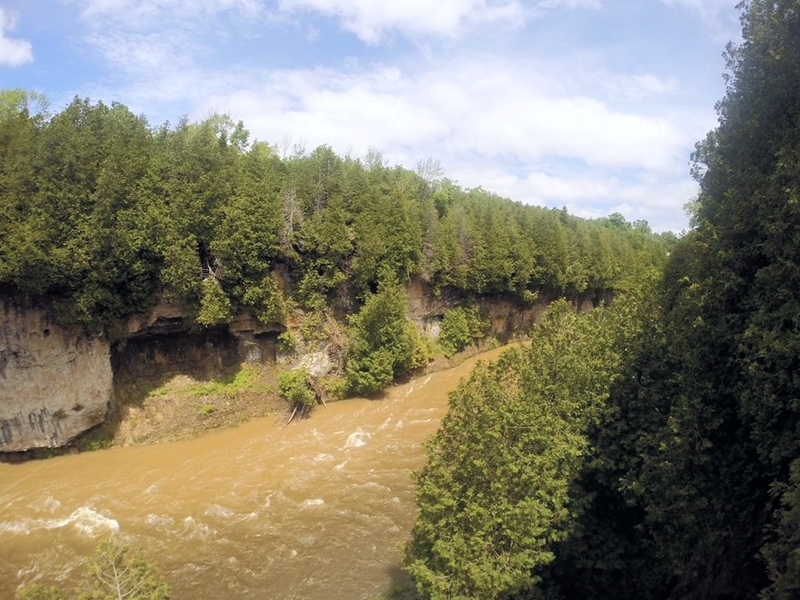 As a popular tourist attraction, Elora Gorge is one of the most beautiful and spectacular natural areas in the Grand River valley. With 22 metre high cliffs, riverside trails and scenic lookouts to the gorge, this park provides hikers with gorgeous views of the water below where kayakers and tubers make their way through the rapids. From the parking lot, we headed to the trail. If you head right, you'll reach a lookout on top of the gorge and then a dead end. 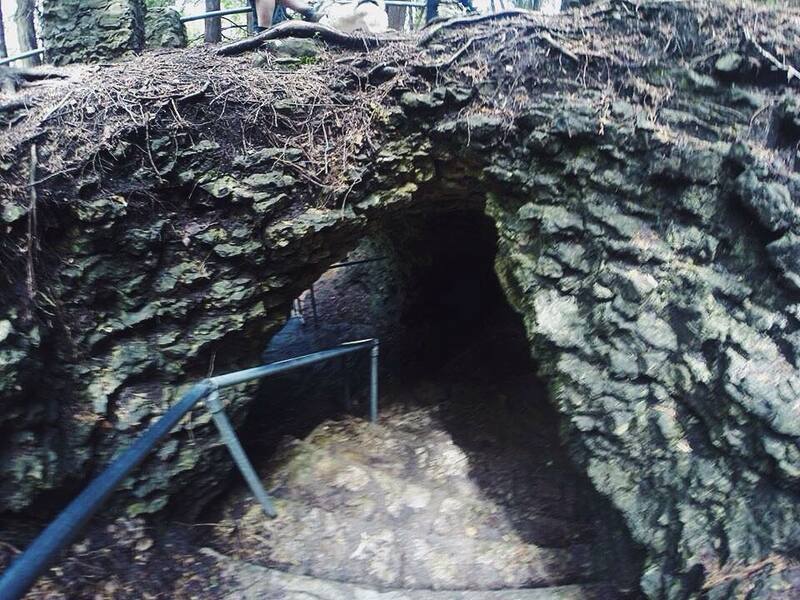 If you head left, you'll reach two lookouts to see the gorge from the bottom. We kept following the trail until we reached the bridge to see the other side of the river before heading back. Along the way, please note that there are tons of warning signs throughout the conservation area regarding safety. Make sure you stay away from the edge of the gorge. If you're craving a cold treat, head to Mickey's Grill and Ice Cream Parlour in the town. There are so many flavours of ice cream and they have treats for your dog! Entrance fee: $6/person. You only have to pay it once if you want to visit both parks. Elora is located about 25km from Guelph, Ontario through Highway 6. 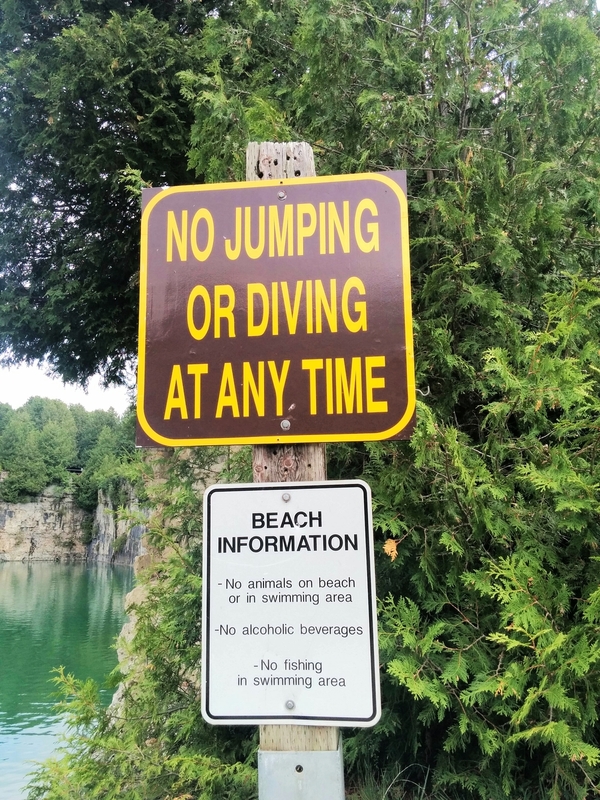 No dogs, diving or jumping allowed at Elora Quarry Conservation Area. There are washrooms and change rooms available at the park. You can also rent a life jacket. 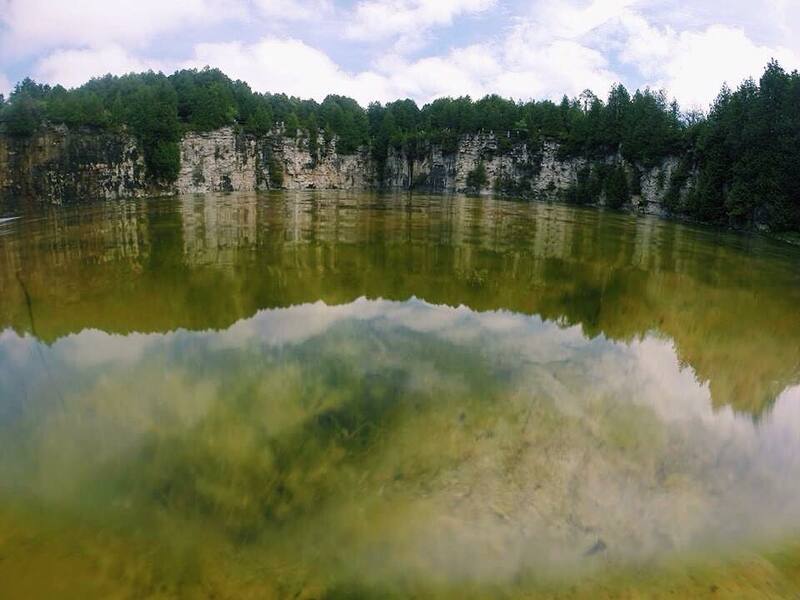 Elora Gorge Conservation Area offers tubing if conditions are good. 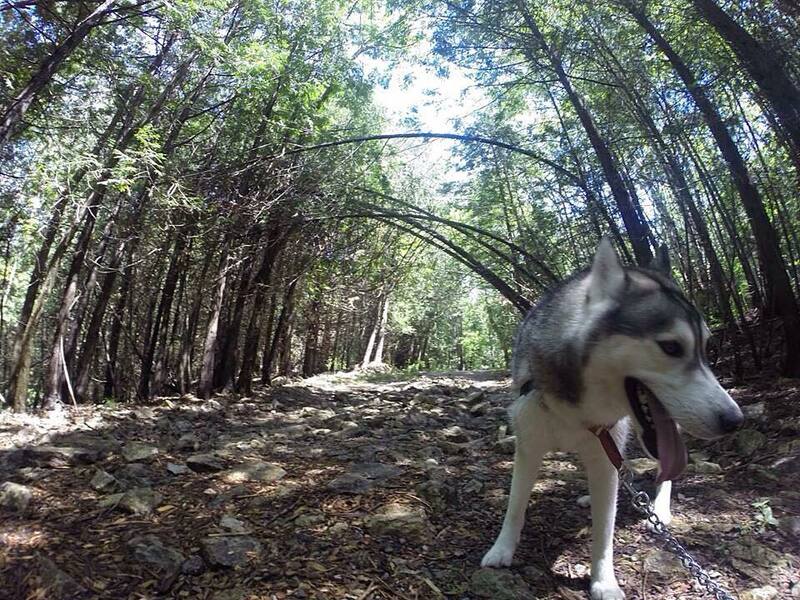 It also offers camping, canoeing, fishing, cycling, picnicking and a splash pad.